Amish Woodwork is your carport dealer for Carolina Carports. Carolina Carports is ranked #1 in customer satisfaction and recognized for their outstanding service and professional contracted installation. 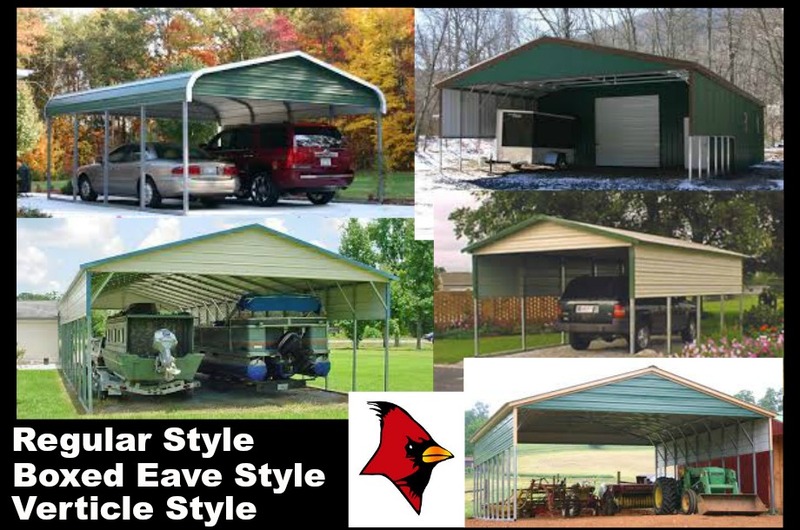 Carolina Carports are cost effective and protect your investment with style, and the strength of industry-leading technology. Carports offered are 12′ wide to 60′ wide. 29 gauge colored steel sheeting. Standard buildings are rated at 90 mph wind speeds and 20 pounds per square foot of snow load. 12 Gauge with 2 ¼ metal frame tubing. Certified, Certify your carport to withstand up to 130mph winds and 30 pounds per square foot of snow. Amish Woodwork can customize your carport with extra side panels, Gabled Ends, Utility Storage. 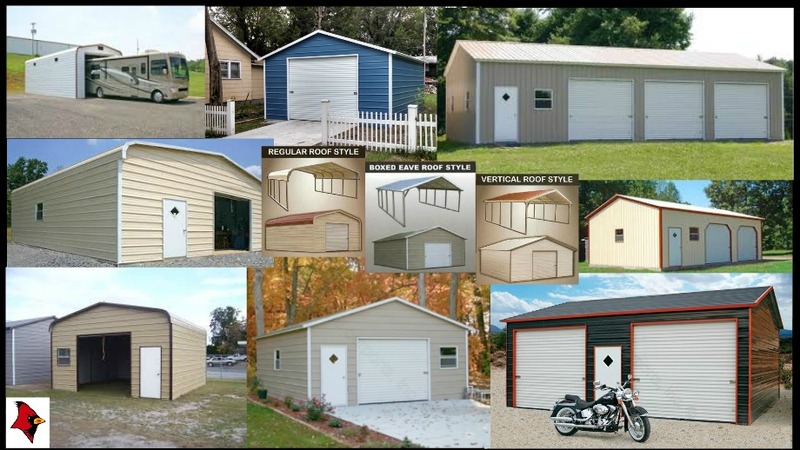 Amish Woodwork can customize your garage with a variety of garage door sizes, walk through doors and windows. Amish Woodwork can customize your barn with different styles, a variety of garage door sizes, walk through doors and windows.